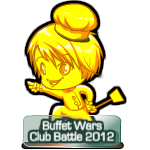 After 3 evenings of intense competition, the top 3 clubs of Buffet Wars Club Battle 2012 has emerged! Congratulations to WoRLdStAr who dominated in most of the matches they played. 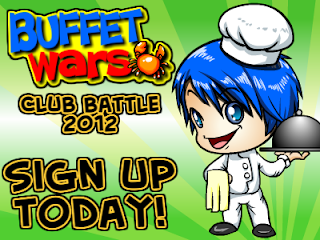 SHINOBI club and Wawa 9 Club are close behind at 2nd and 3rd place. Thanks all for participating and we look forward to seeing you in the next competition!